Composer Kirsty Devaney learnt her early musical skills through the Cumbria Music Service and school music teachers. 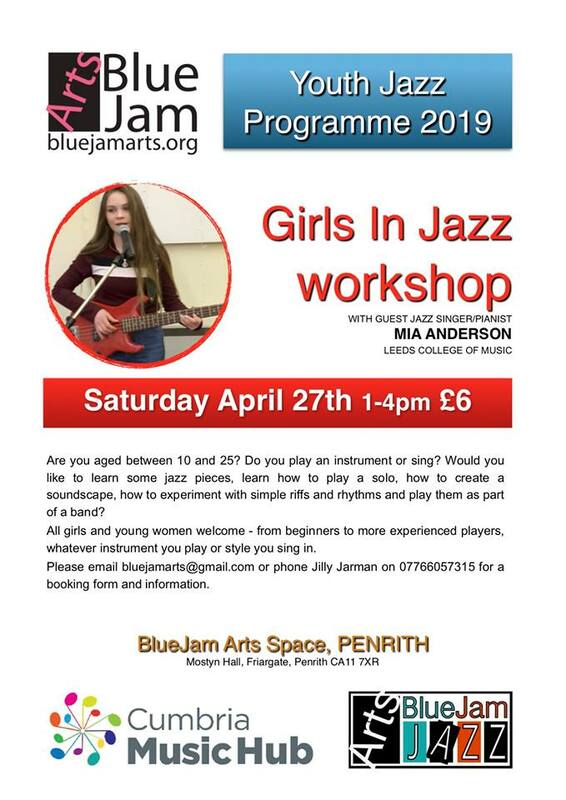 She was in the Cumbria Youth Orchestra, West Lakes Windband and in all the Whitehaven Secondary School bands and ensembles – “basically anything that I could find I would try to get involved with”. What’s your job: I am a composer but that can mean many different things! In the most obvious form it means creating new music – for me it means working closely with musicians (young, amateur and professional) to create new music for them to perform. I sometimes have commissions to write new works or I sometimes work on projects with young people co-creating music with them. I am also what I call a ‘workshop leader’. This means I don’t teach full-time in one school, but instead I teach on a lot of different projects and schemes. I set up a scheme called the ‘Young Composers Project’ based in Birmingham Conservatoire to help encourage more young people to be creative and create new music. I also lecture at Birmingham City University and Birmingham Conservatoire whilst I finish my PhD there. What instruments do you play? I primarily compose, so I don’t perform professionally but I still play many instruments. The first instrument I learnt was the flute but I also play the cello, saxophone and piano. Playing all these instruments really helps me to compose for the different instruments and understand how they work. I often use a combination of my imagination, the piano and my flute to compose. I also like to collect other instruments from around the world – I currently have a Tibetan singing bowl and an erhu (Chinese fiddle). How and when did you first become interested in music? My first experience with playing a musical instrument was when I was in primary school (Jericho Primary) and they offered free music lessons. I was given a flute to try and instantly loved it. I was the first in my family to play a musical instrument. I was very shy to begin with so I did not like to play in front of people but playing an instrument really helped my confidence. It wasn’t until about year 9 that I started to really take music more seriously and see it as a possible career option for me. I then began to arrange music for friends and ensembles, which then became composing my own music for them. For me it was having the access to learning a musical instrument for free and having continued support and encouragement from my teachers that got me to where I am today. I am eternally grateful for their belief in me to succeed. How did you get to work in music? I went to Birmingham Conservatoire to study composing and that helped open a lot of doors for me to work in the industry. When I first got into Birmingham Conservatoire I thought I wouldn’t be ‘very good’ but I soon realised that if I worked hard and pushed myself I could do well. Most of my work comes from the people I’ve got to know and networking. What’s the best thing about your job? Every day is very different and I get to travel and meet a lot of people. Also I get to inspire lots of young composers to create new music and I love being there when they hear their music performed live. What’s your most memorable musical experience? There are so many! If you had told me at the age of 16 all the things I would have achieved by the age of 25 I probably wouldn’t have believed you! A memory that sticks in my mind is being shortlisted for a BASCA British Composer Award at the age of 20. When I got the email to congratulate me I thought they had sent it to the wrong person! I was very honour to have been shortlisted but it actually put a lot of pressure on me. I struggled to compose for about 6 months after the awards. It was only until I was on a composing course in Scotland that I felt like I could compose again. For the first time in a long time I just composed for myself – not for my tutors, not worrying about what others might think of it, not thinking I would get something wrong – I just composed. It was as if a weight had been lifted off my shoulders and, still to this day, I love that piece of music I created there. It was a very cathartic experience and something that had a big impact on me. What are your other interests? I enjoy doing Yoga as it means I can stop worrying about what I need to do next or where I need to be. Looking after yourself physically, but also mentally, is important. I also enjoy camping and walking – getting away from the city life occasionally.